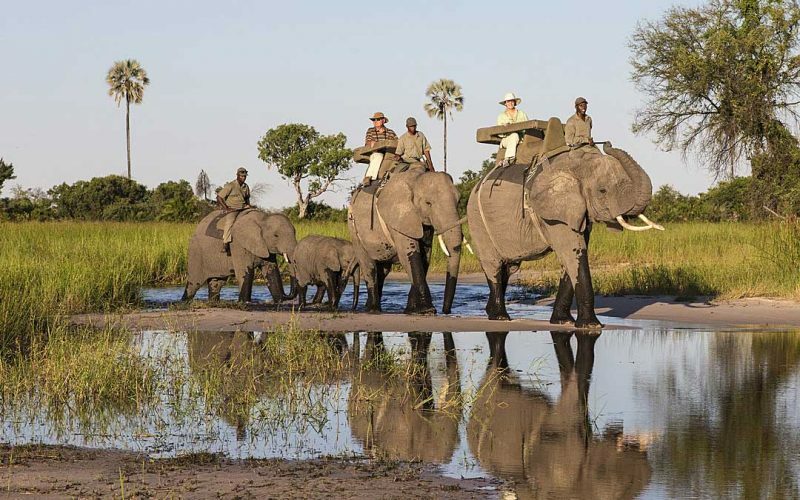 Abu Camp is not just one of the most luxurious safari camps in Botswana’s iconic Okavango Delta, but it is also the place you can interact with African elephants in a way that will change how you see these remarkable creatures. It will also change forever your take on elephant conservation and the protection of the wild habitats on which these magnificent animals depend. Many safari camps will show you wild elephants from the back of a Land Rover and you experience them through your own eyes. 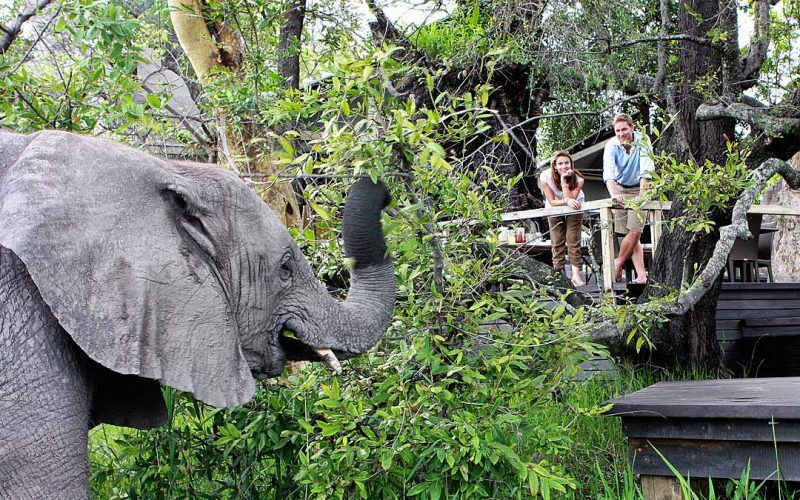 At Abu Camp in contrast, you experience the African bush through the eyes of the elephants as you become an honorary member of the Abu Camp herd. Getting hot in the afternoon – time to stop for a cooling mud bath! Passing a tree decked in tasty-looking new leaves? Stop and browse for a while! 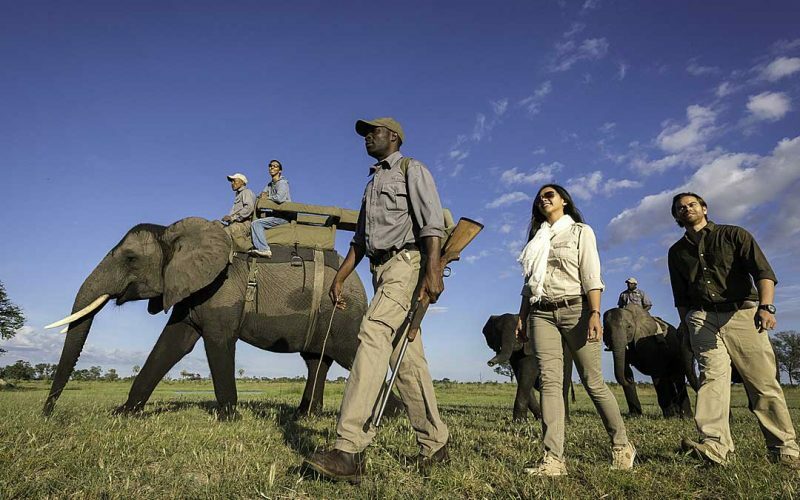 Abu Camp began with the visionary idea of returning previously exploited elephants to the wild in Africa. It has grown to become a centre of elephant conservation excellence. 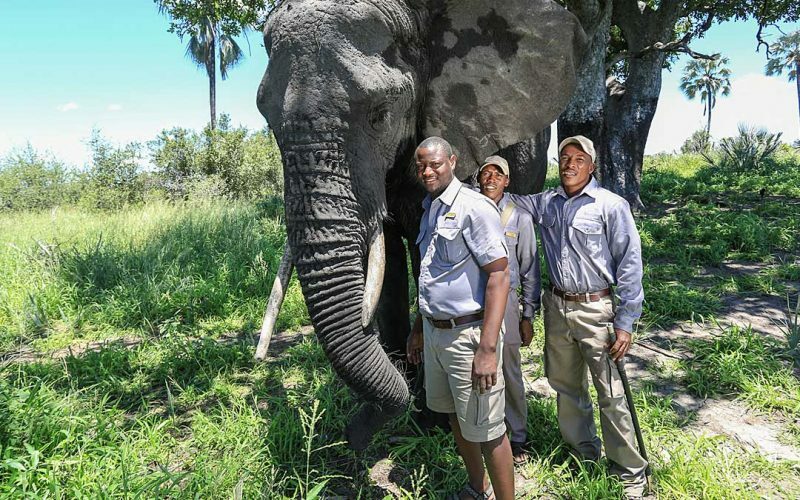 A number of the elephants have been successfully returned to the wild, and this provides scientists with an invaluable opportunity to study their movements on a macro level. 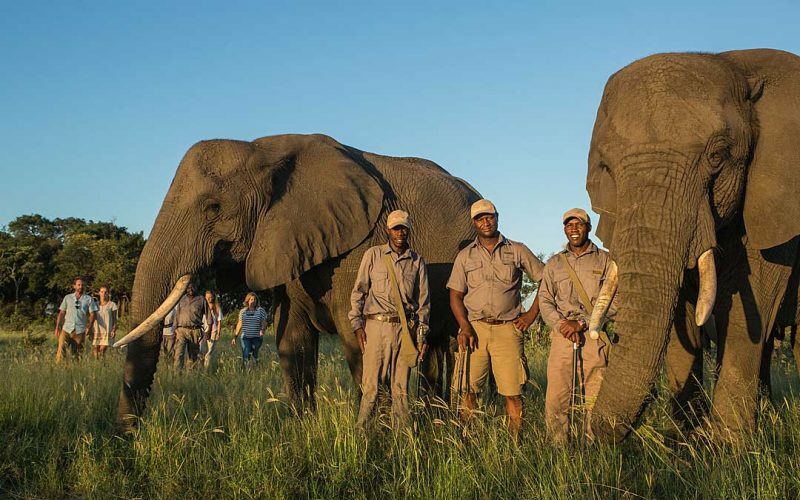 These are truly “elephants without borders” as they often cross from Botswana into neighbouring countries, and back again. Meanwhile the resident herd allows guests the opportunity to get up close and personal with youngsters and adults alike. It is the elephants’ needs that determine much of the daily itinerary, and through spending real quality time with them, guests learn to appreciate the elephant’s individual personalities – from serene, wise Cathy the matriarch to rumbustious, playful Naledi, and orphan only a few months old who has been adopted by the herd and who effortlessly steals the hearts of everyone who meets her. They say that elephants never forget, and we promise you, nor will you. 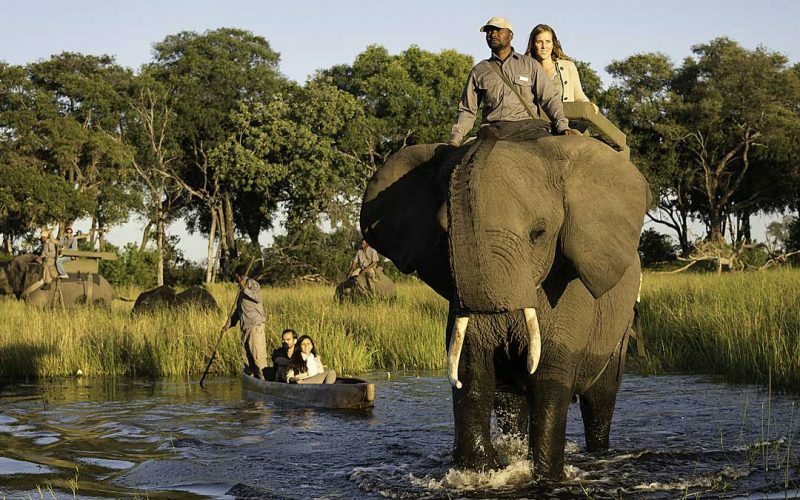 Only available from Abu Camp, Okavango Delta, Botswana. 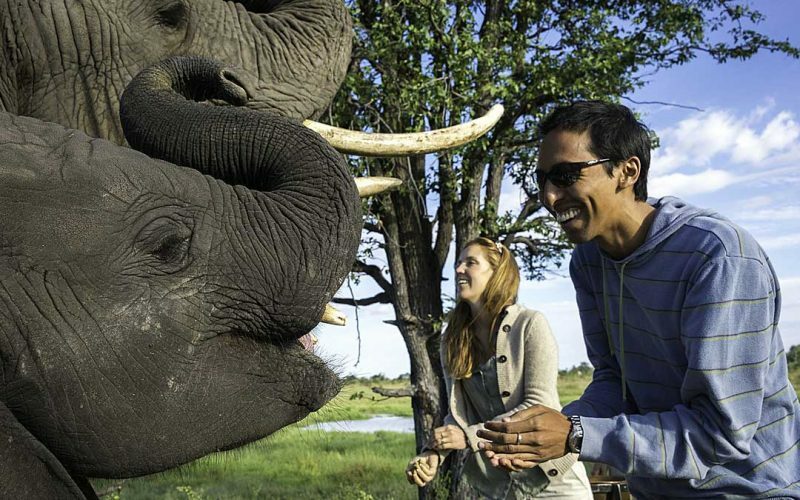 (Also consider Walking with Elephants at Sanctuary Retreats camps, Baines and Stanleys). By Nick Galpine, Wilderness Safaris. Is a mobile safari something for me?